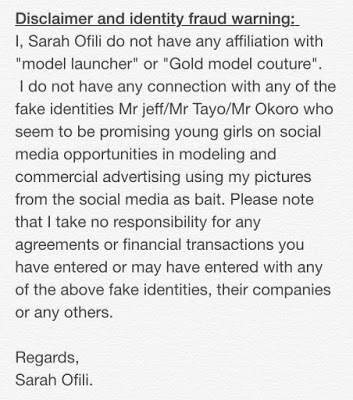 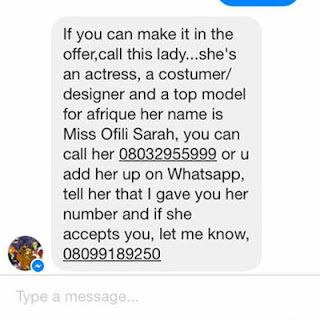 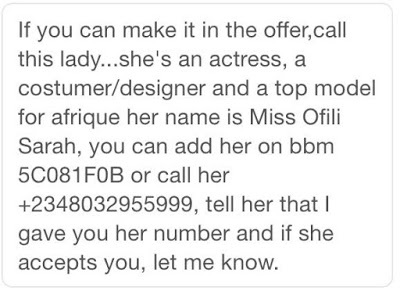 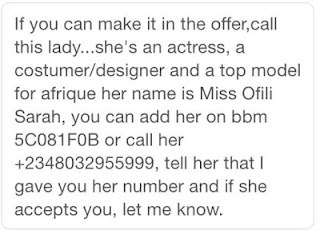 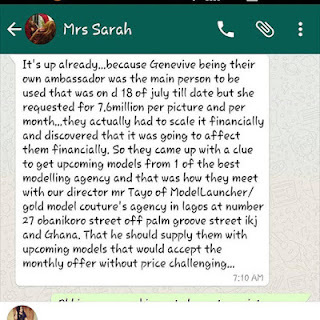 According to Sarah Ofili, there’s a fake agency claiming to have affiliate with her and even offering ladies mouth-watering modelling deals as long as they are willing to pay. Apparently some of them got duped by this fake outlet and decided to reach out to Sarah through her social media pages to know if she truly runs the agency or has an affiliate with them. 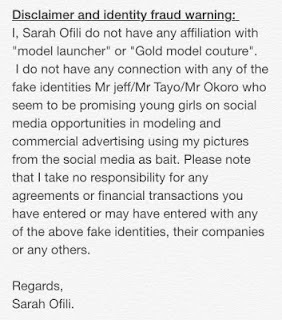 Sarah has however issued a disclaimer saying she knows nothing about it. Some of the munched tweets she sent in right after the cut.